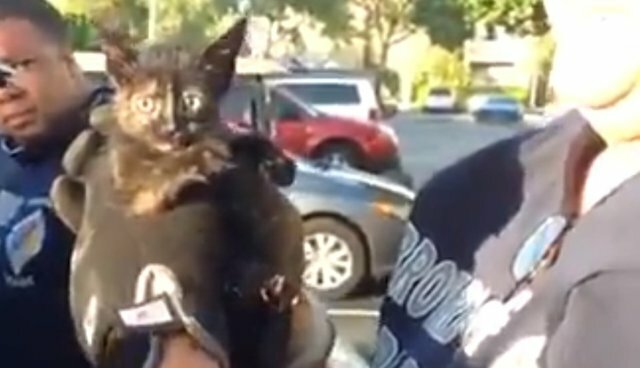 When a Florida woman heard an unusual meowing sound under the hood of her Mercedes, firefighters rushed to the scene. It turned out that the meowing was coming from a kitten holed up in a void on the driver's side between the fender and wheel well. After about 30 minutes, and with the help of a light spray of water, the cute kitten was coaxed out -- looking not at all worse for wear.